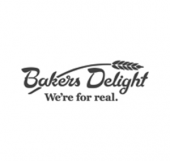 Bakers Delight is Australia’s most successful bakery franchise. Over the past 35 years this Australian owned company, has grown to over 700 bakeries across three countries, serving 2 million customers each week. Every day, in every bakery, Bakers Delight bakers use real ingredients to bake unreal bread. And what’s baked that day, is sold fresh that day.